One of today’s popularizers of science, Neil deGrasse Tyson is a science communicator and known American astrophysicist. Currently, he is the Hayden Planetarium’s Frederick P. Rose director at the Rose Center for Earth and Space. He is also one of the research associates of the American Museum of Natural History’s department of astrophysics. A popularizer of science, he has appeared in television shows such as “NOVA ScienceNow” which was aired on PBS from 2006-2011. He is involved in fields such as physical cosmology, astrophysics, and science communication. Born on 5 October 1958 in Manhattan as a middle child with two siblings, Neil deGrasse Tyson grew up around the Bronx. His mother, Sunchita Feliciano Tyson was a gerontologist and his father, Cyril deGrasse Tyson was a sociologist. Growing up, Neil went to the Bronx High School of Science from 1972-1976 and he became interested in astronomy after a school trip to a planetarium. He later attended astronomy courses offered by the Hayden Planetarium. Neil had varied interests at school, being the captain of their wrestling team and editor-in-chief of the school’s “Physical Science” journal. In his teen years, he developed an obsession for astronomy, and made his mark on the community of astronomy lovers by giving lectures when he was just fifteen. So much was his passion for astronomy that Dr. Carl Sagan from Cornell University personally sought him out to invite him for undergraduate programs. Tyson, however, chose to attend Harvard University where he majored in physics. In 1980 he received his Bachelor of Arts in Physics. Tyson proceeded with his post graduate endeavors at the University of Texas at Austin. In 1983, he earned his Master of Arts in Astronomy. He furthered his education by earning a Master of Philosophy in astrophysics at Columbia University in 1989. He obtained his doctorate in astrophysics two years later. In 1994 Tyson worked for the Hayden Planetarium as a staff scientist while he was a research affiliate in Princeton University. In 1995 he became acting director of the planetarium and became its director in 1996, a position he still holds. Because of his fascination for astronomy, Tyson’s research was largely focused on stellar evolution, cosmology, galactic astronomy, as well as stellar formation. His career in science has included holding position in the University of Maryland, the American Museum of Natural History, the Hayden Planetarium and Princeton University. Tyson has also published several books and articles including “Universe,” a column for the Natural History magazine. In 2002 he coined the word was “Manhattanhenge”; it is used for describing the 2 days in a year when the setting sun would align with the street grids of Manhattan making the sunset easily viewable on the clear side streets. In 2001 Tyson became a member of the Commission on the Future of the United States Aerospace Industry. Two years later, he served as a part of the President’s Commission on Implementation of United States Space Exploration Policy, commonly known as the “Moon, Mars, and Beyond” commission. He was awarded by NASA their Distinguished Public Service Medal, the highest honor NASA awards to civilians. 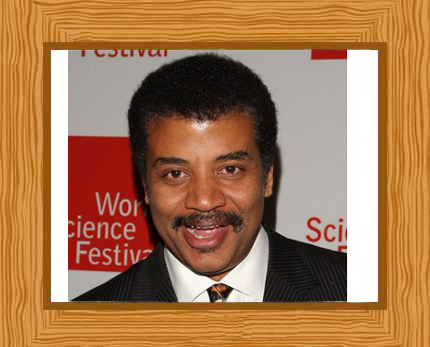 Being a popularizer of science, Tyson has made several appearances on television. He hosted PBS’s four part mini-series “Nova” in 2004. Along with Donald Goldsmith, Tyson co-authored other episodes for “Nova” called “Origins: Fourteen Billion Years of Cosmic Evolution” and “400 Years of the Telescope”. Tyson also hosted NOVA ScienceNow, the PBS program until 2011. Because of his love of the universe, his usual cheerful self along with his knowledge and vibrant character, Tyson became a regular part of “The Universe”, a popular series from The History Channel. Tyson has his own views about spirituality, religion, and science which he included in his essays “The Perimeter of Ignorance” as well as “Holy Wars.” Both of these works appeared in the Natural History Magazine. He remains to be an advocate the National Aeronautics and Space (NASA), and hopes for the expansion of their operations. Tyson married Alice Young in 1988 and they have 2 children, Miranda and Travis.